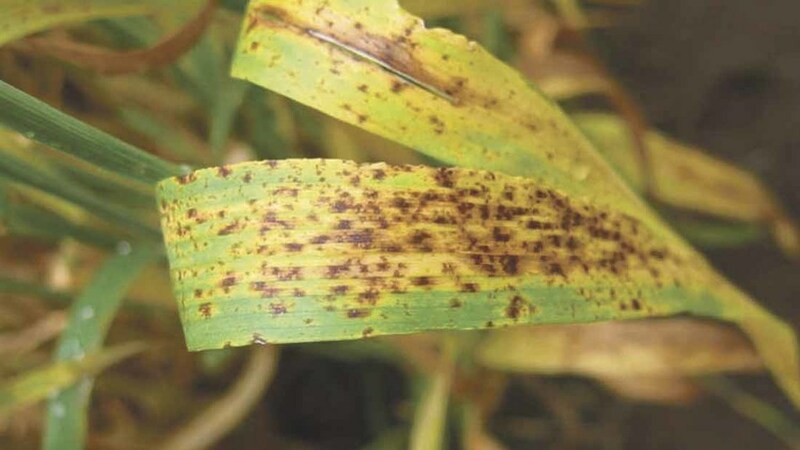 A recent finding suggesting that the barley disease ramularia is potentially resistant to three of the main groups of fungicide chemistry in Germany is a warning to UK growers about the threat from resistance development. Bayer resistance testing in southern Germany has confirmed the presence of two new mutations, one that adversely affects the performance of SDHI fungicides and another, azole fungicide efficacy. Resistance in ramularia to strobilurins has previously been confirmed. The mutation discovered in the target site for azoles has been found to severely affect the performance of all actives in this group. This is unlike the mutations to azoles found in septoria, which incur a loss in sensitivity resulting in a slide in efficacy, rather than a significant drop in performance, according to Bayer. The SDHI mutation has led to full resistance to all members of that group of chemistry, it adds. Where these mutations have been found no SDHI or azole fungicide will control ramularia, even when used at full rates. This leaves chlorothalonil as the only effective chemical option for control of the disease with the German authorities advising its use in all applications in barley, says Bayer. However, the position in the UK is not clear. Unlike in Germany where field performance was compromised last season in some cases, no such reported problems were seen in 2016 in the UK. Bayer is awaiting the results from UK samples taken in 2016 and says it will provide a further update once it has received them. The use of chlorothalonil at the T2 timing will give the best boost to ramularia control and help protect other products where ramularia is sensitive to other chemistry, says the company. For future years, using cultural controls for ramularia, such as avoiding the use of farm-saved seed from crops that had ramularia infections and using more resistant varieties, particularly in higher risk areas makes sense, it adds.